The graph represents the leading shopping apps in the Apple App Store in the United States in March 2019, ranked by number of downloads. 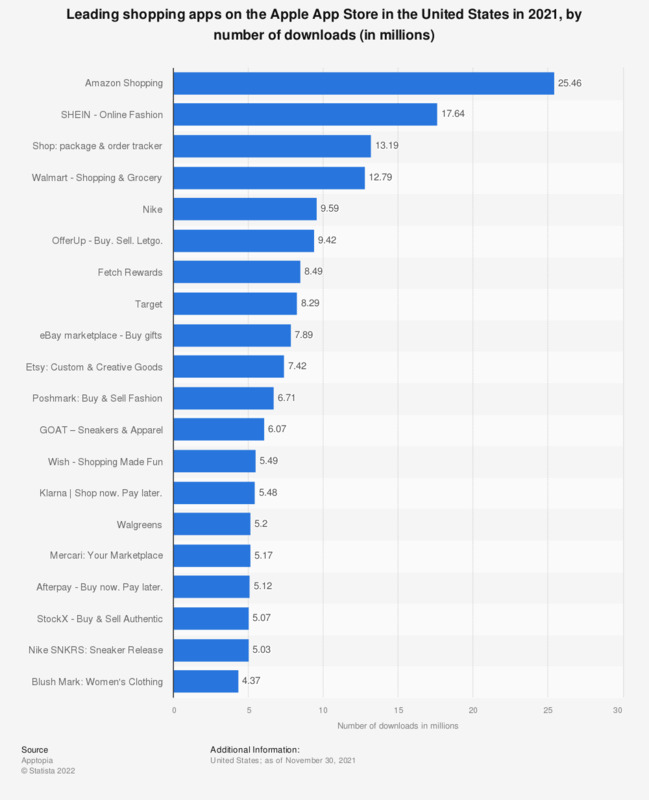 As of that month, Amazon was ranked first in the shopping category with approximately 1.1 million downloads by iPhone users in the United States. Everything On "eBay Inc." in One Document: Edited and Divided into Handy Chapters. Including Detailed References.